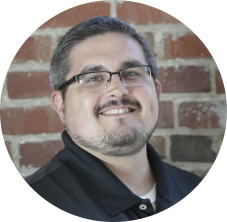 Husband, Dad (x3), and Salesforce admin/developer living in the Louisville, KY area. Recently, my team and I developed a declarative method to reassign Opportunities from a list view. Salesforce already had this capability for Cases, and we mistakenly assumed that the functionality existed for Opportunities. However, that functionality still hasn't been added as of Summer 18'. This is a simple solution that will hopefully save others a ton of time in maintaining clean assignments. It is a bit of a hack, but it works! Opportunity owner is locked for editing within a list view. However, the owner can be updated with Process Builder. So, the workaround is to add another User based field that can be edited from the list view and allow Process Builder to perform the update in the background. Here is the summary, then screenshots. Add a new lookup field to the Opportunity. The field should lookup to the standard User object. Name the new custom field "New Owner"
Limit field level security accordingly and place the field on a page layout so it is available for use in a list view. 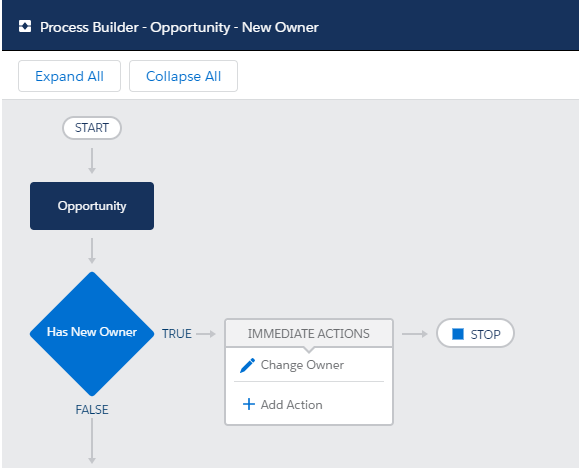 Create a Process Builder flow that sets Owner = New Owner when New Owner is not null. Always clear the New Owner so it can properly trigger this change in the future. Now, you can add New Owner to any list view (within a single record type) and perform a reassignment in bulk. From a list view select all records to be changed, then choose set your New Owner value and save. All Opportunities have been updated!